About Dr. Lynch – Dr. Christina P. Lynch, Psy.D. 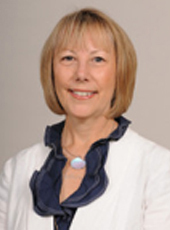 Dr. Lynch is a founding Board Member, Past President (2013-2015) and current Advisor to the Board of the Catholic Psychotherapy Association (CPA) (www.catholicpsychotherapy.org) whose mission shall be to support mental health practitioners by promoting the development of psychological theory and mental health practice which encompasses a full understanding of the human person and society in communion with the Magisterium of the Catholic Church. In 2007, Dr. Lynch joined St. John Vianney Theological Seminary in Denver, Colorado (http://sjvdenver.edu/) as Director of Psychological Services/Professor. The mission of Saint John Vianney Theological Seminary is discernment of, and unified formation in, priestly identity marked by an intelligence of heart, with men called to proclaim Jesus Christ and build a civilization of love in persona Christi Capitis. Each summer since 2004, Dr. Lynch has served as adjunct faculty for Human & Spiritual Formation for Seminarians from around the country at the Institute for Priestly Formation (IPF) at Creighton University in Omaha, Nebraska. This holistic human formation program helps almost 200 seminarians each summer deepen their appreciation for the gift of celibacy. In addition, she provides counseling for those who desire to grow in self-awareness and receive God’s healing graces. 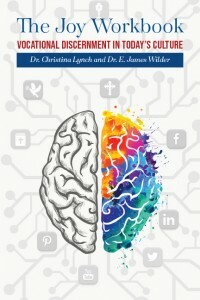 In the area of research, Dr. Lynch serves as an Associate Researcher in Psychology & Spirituality for the Sacred Story Institute; a Catholic/Jesuit non-profit whose mission is research to create, in and for the Church, evangelization programs and resources that meet head-on the challenges of contemporary culture. Dr. Lynch serves as an expert news commentator for a weekly pro-life news commentary show titled “Heroic Media” that airs Saturdays on EWTN. It is a division of Catholic New Agency based in Denver, Colorado. www.heroicnews.org. The Fellowship of Catholic University Students (FOCUS) answers the call of Blessed John Paul II to the “new evangelization” by meeting college students across the nation where they are and challenging them to examine the meaning and purpose of their lives. Dr. Lynch served as an Advisor for the Spiritual Development Advisory Council whose purpose is to advise and oversee the FOCUS Spiritual Development Program and its direction. Dr. Lynch received her Masters of Science degree from the Institute for Psychological Sciences (IPS) in Arlington, VA, in 2000. Upon completing her APA-accredited Internship at Catholic Social Services of the Nebraska Internship Consortium in Psychology, on December 9, 2005, she was awarded the first Doctorate of Clinical Psychology from IPS. Ten years later, in 2015, she was awarded the first Distinguished Alumni Award from The Institute for the Psychological Sciences (IPS). The Distinguished Alumni Award is presented to a graduate who has made significant contributions to society and whose accomplishments, affiliations and careers have honored the legacy of the excellence of the school. Dr. Lynch and her husband, Patrick reside in Denver, Colorado.